The INTEL project in Oregon occurred in 2011-2012. This was an extremely fast track project requiring intense equipment utilization. Northwest provided , four forty meter Putzmeister placing booms, two Putzmeister 14000 trailer pumps, two ballasted cross-frames, four 16 cell forty meter truck mounted boom pumps, 3000 feet of pipeline, 4 four 61 meter boom pumps and one 63 meter truck mounted boom pump. Through our sister company we also provided 16 pump operators which worked 12 hours shifts. 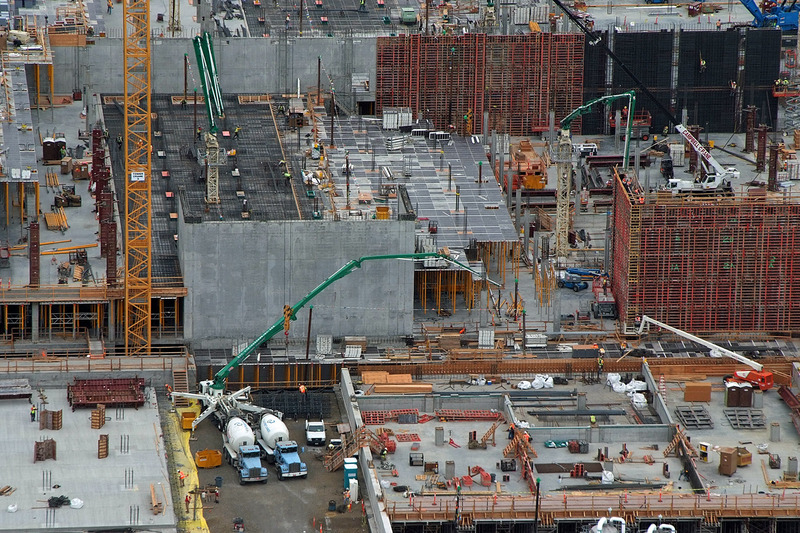 260,000 cubic yards of concrete was placed in a nine month period. This is the newest addition to the Intel plant in Oregon.